To facilitate visualization with Industry 4.0, Advantech offers a diverse range of rugged and reliable HMI products in various sizes (from 3.5” to 21.5”) with different screen ratio options (4:3 and 16:9). Advantech’s HMI product categories include high-performance control panels that can be embedded into equipment and machines, low-power industrial thin clients for process monitoring, web terminals for next-generation smart factory applications, and standard industrial monitors. In addition to standard products, Advantech also provides customized domain-focused products to satisfy the demands of specific industries. 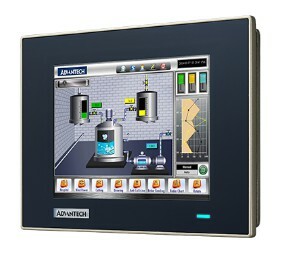 All Advantech HMI products are equipped with relevant software (WebAccess/HMI, WebAccess/SCADA or WISE-PaaS/RMM) as well as Advantech’s iDOOR technology, making them suitable for diverse applications. Advantech’s control panel series are PC-based open control platforms that feature a high-performance, fanless design and can be integrated with a wide variety of machines in diverse environments to support complex machine control tasks and data visualization applications. 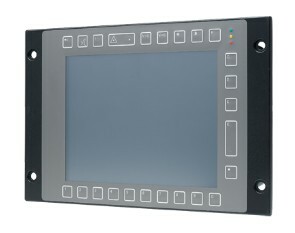 The optimized design includes three Gigabit LANs that support multiple fieldbus communication protocols, an IP66-rated front panel that protects against dust and water ingress, and support for flexible iDOOR and PCIe expansion, making these platforms ideal for industrial automation control operations. With SCADA software moving toward cloud-based applications, simple web-based terminals with HTML5 browser support have become an economic option for process monitoring. Advantech’s TPC-1000 series modules can serve as web terminals and be equipped with various iDOOR expansions, including fieldbus support, smart I/O and communication technology, as well as multiple I/O and peripherals. Advantech’s thin client modules feature a compact, fanless, and low-power design that supports both 4:3 and 16:9 screen aspect ratios and can be equipped with displays ranging from 3.5" to 21.5" in size. These thin client modules are primarily deployed as manufacturing execution systems (MESs) or for work flow monitoring and production process visualization. Under the Industry 4.0 trend, thin clients are widely employed in distributed control architectures to enable the easy deployment of thin-client architecture and the centralized management of devices and information. Such architectures allow the OS to be quickly dispatched from the server to the client after hardware replacements and ensure data security. 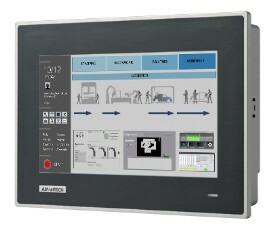 Advantech offers operator panels including WebOP-2000T series with RISC processors to satisfy the stringent standards required in the automation market. The WebOP-2000T is bundled with WebAccess/HMI: powerful software which is able to create HMI application solutions for labor-saving, manufacturing efficiency improved and visualized operation on every machine in factory. WebOP-2000T supports over 450 PLC industrial communication protocols to fulfill the needs of different applications. 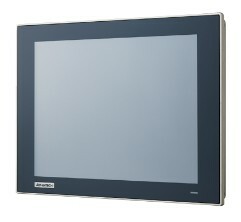 Advantech Operator Panels offer the panel sizes from 3.5" to 10.1" with IP66 protection which is suitable for the use of different motion/thermal controllers, inverters and sensors. There is also industrial gateway WOP-2000G, reliable solution to collect production data completely for analysis. In addition to standard products, Advantech provides domain-focused systems with customizable features for satisfying the specific requirements of various vertical markets. 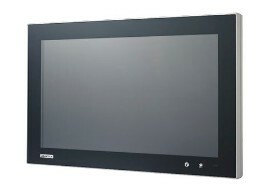 Verified with ATEX Class 1 Division 2/EN 50155 certifications, Advantech’s domain-focused rugged HMIs are sufficiently robust for operation in extreme environments typical of the locomotive, food and beverage, oil and gas, and machine tool manufacturing industries. Ensuring system flexibility and compatibility are also major concerns for Advantech when designing domain-focused HMI products. Independent controllers and industrial PCs embedded in machines require an interface for data visualization and processing. 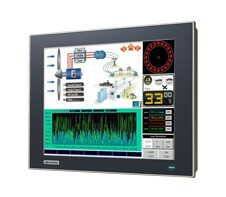 Advantech produces industrial monitors in various sizes ranging from 6, 12, 15, 17, 19, to 21 inches. Featuring an industrial-grade LED LCD with a backlight lifetime of 50,000 hours, high IP-rated bezel, and wide temperature support, Advantech’s industrial monitors are equipped to withstand operation in harsh environments. Versatile mounting options (panel, wall, desktop, rack, and VESA arm) are also supported to ensure easy installation for various usage scenarios.